Holiday Pet Gift Guide 2017! This Holiday Season we have gift suggestions for everyone on your Christmas shopping list! The dog, the cat, pet parents and pet lovers! We have gifts that give back by helping pets and people in need, a book to curl up with that will be sure to make you smile, want your pet to look their very best this Holiday season – we have gifts for that too! This is a sponsored post. 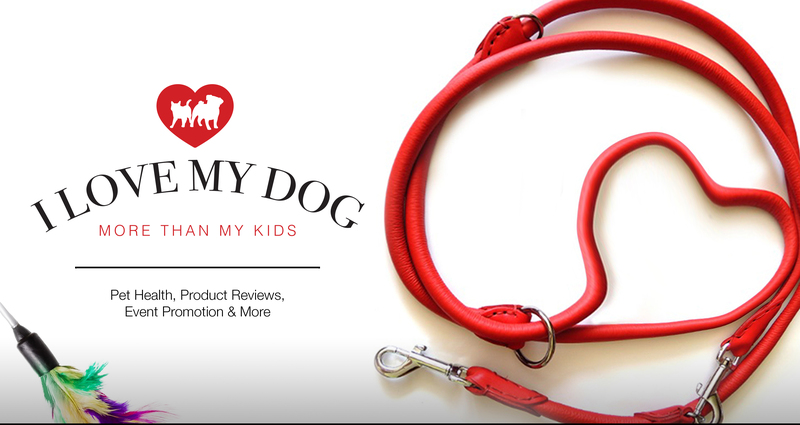 I only share products that I would use for my pets, myself, or believe my readers would find of interest. My good friend Igor the Pug is at it again, but this year his little pug brother Zombie is in on the action! These handsome pug boys are posing for the camera for their annual calendar in support of Pugalug Pug Rescue. Over the past five years Igor has helped raise over $25,000.00 for Pugalug Rescue! Don’t miss out on this calendar that will be a hit with friends and family! The Farley Foundation Holiday Cards – Healing Pets. Helping Humans. Looking for that pawfect Holiday Card to send your friends, family and colleagues, look no further! The Farley Foundation has a selection of Holiday cards for you! Since the Farley Foundation opened their doors in 2002, they disbursed more than $3.4 million to assist more than 8,400 pets and pet owners in need. By purchasing the Farley Foundation Holiday Cards, you will help to preserve and protect a bond of love and devotion, and give hope to those who depend the most on their pets for love and companionship. Proceeds from the Farley Foundation Holiday Cards will help people and pets in need across Ontario, including in communities like yours. The Farley Foundation Holiday Cards. Healing Pets. Helping Humans. The Ontario SPCA’s Second Chances Calendar will brighten all your months this coming year. The calendar is filled with photos of cats, dogs, horses, bunnies, a leopard gecko, even a pig in a tutu! Each month tells the story of an animal that had been up for adoption the found their forever home! The Ontario SPCA’s Pet First Aid Kit is must have. The Pet First Aid Kit is the perfect size to fit in a hand bag, backpack, and your car’s glove box, ready to be on hand for your pet’s next adventure. A Pug’s Guide to Happiness is one book that will have pug parents nodding their head in agreement. A Pug’s Guide to Happiness – Unleash Your Inner Pugness by Elaine Clayton, will be the book every pug servant/parent will enjoy finding under the Christmas tree this holiday season. Everyone, even our pets need to look their best this Holiday season! With the HandsOn -Wet/Dry Grooming Glove, you can smooth out those long haired cats and dogs, give your dog a relaxing massage and have your pet’s looking their holiday best! Your guests will be sure to thank you when all that extra pet hair doesn’t end up on their clothes and on your furniture! Go here to learn more, or order a pair of HandsOn Gloves for you and your pet parent friends! The dog bath without the splash! Maybe you know a certain friend or family member whose dog could use a bath, but you don’t know how to tell them? Tired of a soaking wet dog shaking all over the house – and all over you? The BarkBath by Bissell is THE product dog parents will be excited to find under their Christmas tree this year! The Bissell BarkBath has developed a solution to make dog bath time easier, cleaner, and less wet for all! This portable bathing system allows you to bathe your pet practically anywhere and anytime with virtually no mess. Specially designed nozzles get beneath the fur and down to the skin to allow water and shampoo to wash the skin clean while a soft suction pulls dirt and water away into a separate dirty water tank. The system works with almost any length of fur – short or long – and one tank of water will completely wash an 80 lb dog, while the no-rinse shampoo formula leaves your dog’s coat feeling clean and fresh. Go here to learn more information about the Bissell BarkBath, or to order one for you and the dog parents on your Holiday shopping list! So many great pet products and gift suggestions in this years Holiday Pet Gift Guide that will make shopping for the pet’s and pet lovers on your shopping list easier this year! What are you or your pet hoping to find under the Christmas tree this year? I am totally intrigued by the Bark Bath! I love the Farley cards and the book the Pugs Guide to Happiness. I’ll have to put these on my wish list. Wonderful gift ideas! Calendars are always on our list each year, and this year I’ve asked Santa for that Barkbath! I like that several of these companies give back to help animals in need. We will keep out paws and fingers crossed for that BarkBath under your tree 😉 Calendars are something I couldn’t manage without, and what’s better than a calendar that gives back to help others! Entered to win the BarkBath and need to get my copy of Igor’s calendar (I give it to my daughter each year). The first aid kit is a great idea, and I really want to support the new rehab centre the OSPCA is building. Best of luck on your entry for the BarkBath! Isn’t Igor’s calendar awesome and I love products like the first aid kit that helps us and in return helps others! Thank you for stopping by and checking out the wonderful gift suggestions!